For over 30 years the name has said it all! Flex Coat is the wrap finish that all other brands are compared to. 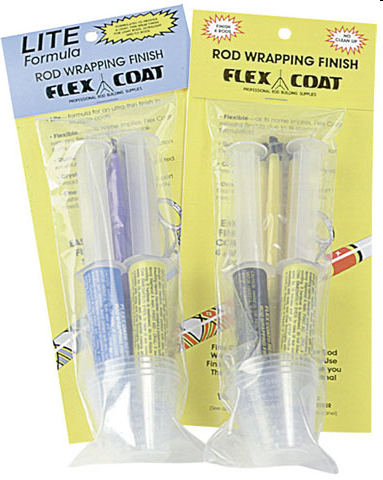 And with good reason…Flex Coat offers the very best combination of properties found in a quality thread wrap epoxy finish. Superior leveling, outstanding durability, brilliant clarity and unequaled adhesion make Flex Coat the world’s #1 epoxy wrap finish. Flex Coat’s commitment to quality hasn’t changed over the last 40 plus years. The Company still makes high end rod building finishes, glues, equipment and accessories that are built to last and made in the USA. 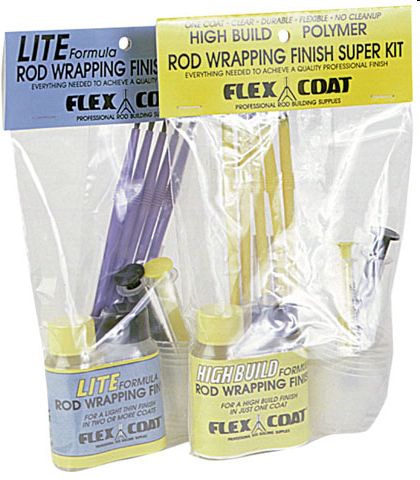 Flex Coat was started in 1977 to provide customers with a good rod finish. The original High Build Formula is still the top seller and now with Lite, Ultra-V, and Lure Epoxy Gel Coat the line up of durable, flexible, high adhesion epoxies is robust. The Flex Coat team are all rod builders, and design Flex Coat products from experience and practice. 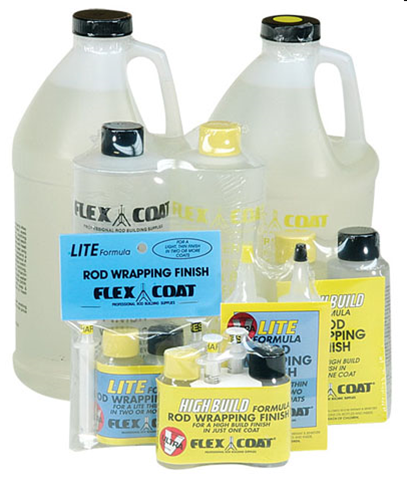 Flex Coat is the brand of which all others are compared. Make it your own with Flex Coat, the original since 1977.